This past weekend was a packed busy one! While visiting a relative, I decided to visit Ontario Mills' Sanrio store and let me tell you I was surprised that there was so many shoppers in the store. Literally, I had to carefully watch where I step (there was a worker on the floor arranging stuff) and tried many times to carefully maneuver around the small spaces to get where I wanted to be and not bump into anyone by accident. I'm happy to report that I didn't go overboard and spend all my holiday money, but I did get pretty cute stuff. 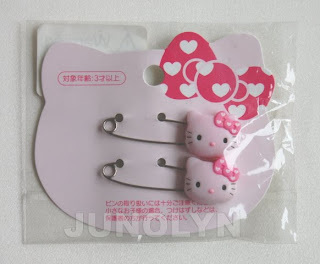 Also, I bought a pretty pink Hello Kitty 2009 ruler (the pink bear design one), but I didn't take a picture of it yet. For some reason, I could not find the "Love Hello Kitty" series in Glendale or in Hollywood, so I was surprised when I found some items in Ontario Mills. I always wanted the HK pins so I was jumping in excitement when I found it in the store. I was like a little kid finding a favorite toy. 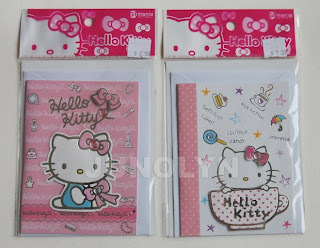 Next, I found two lovely Hello Kitty greeting cards. I was hoping to find a Christmas version, but these two were very pretty and pink. 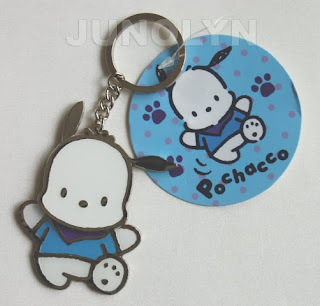 To my great surprise, I found a super cool looking Pochacco keychain. The head and body are separate and can move, almost like a bobble head version. What I was most hoping to find would be a special holiday Pen like they sold in the 90's. 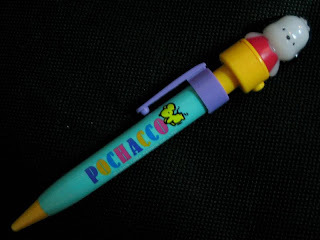 I will always remember during the holiday season when Sanrio had been selling these cute light up big pens. It comes with tiny silver batteries, but it was worth your money. Such a great holiday gift. Below is a pic I found online on the holiday big pen I mentioned.